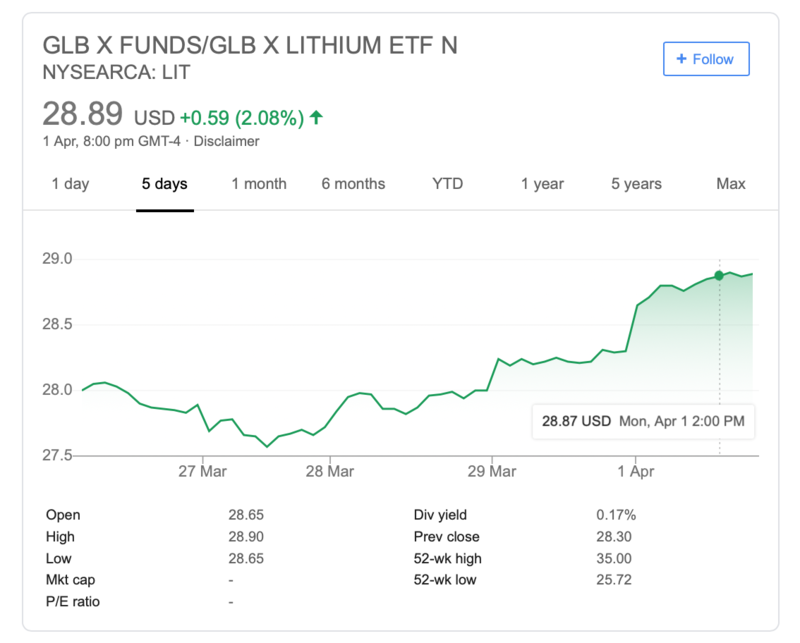 Even the popular Global X Lithium ETF (LIT) has struggled quite a bit, but recent activity had started to show signs of a (possible) recovery. I know I’m getting ahead of myself here, but the momentum for a rapid shift to an all-EV future is gaining traction and headlines like the following are only helping fuel the movement further. Sure, Norway has always been sort of an early adopter and pioneer for this whole EV movement, but with 58.4% of vehicles sold in March 2019 being EVs, damn that’s still pretty impressive (up from 31.2% last year, March 2018). For myself, personally, I’m going to try and err more on the side of caution… I mean, I’ve picked up a few shares here and there during this wretched bear market in lithium/cobalt stocks, but I’m really NOT anticipating for a more rapid trend reversal for the overall sector(s) until maybe the fall of this year, or maybe even at some point in 2020. If we were to try and relate EVs to smartphones, I dunno what the real/exact answer would be, but intuition is telling me that maybe we’re in the year equivalent to where smartphones were back in 2006-2007? I mean Tipping Point hasn’t occurred yet for EVs, so this ballgame still hasn’t really even started… yet. 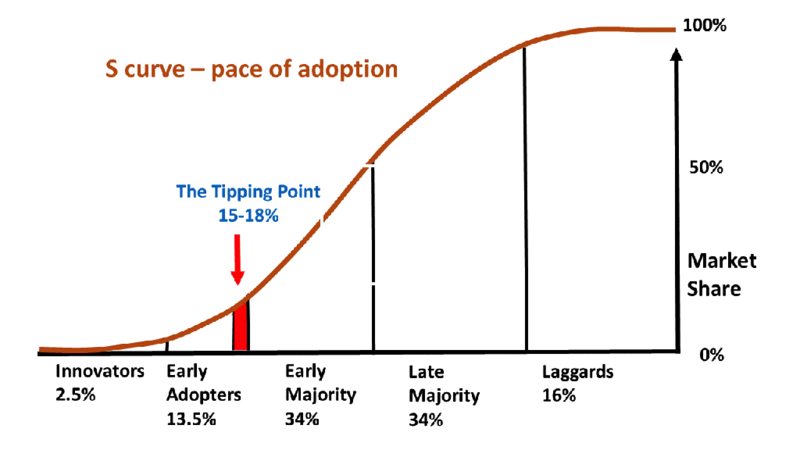 Currently, overall EV adoption isn’t anywhere close to 15-18% (despite the progress made in countries such as Norway and China). 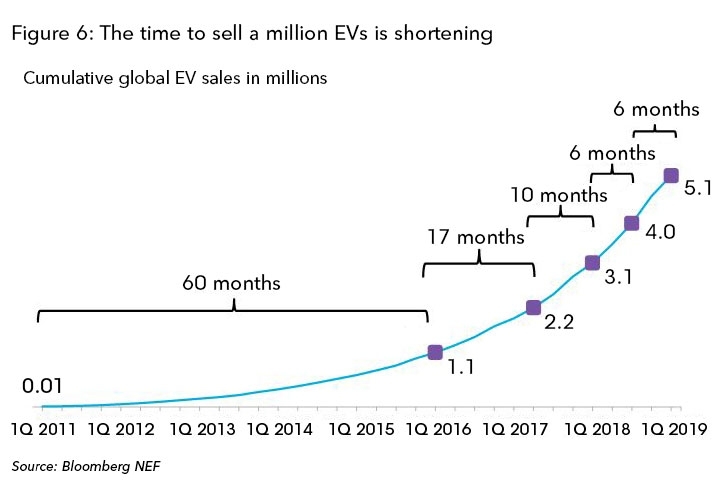 But clearly, the time it takes for the market to sell the next one million EVs is compressing. 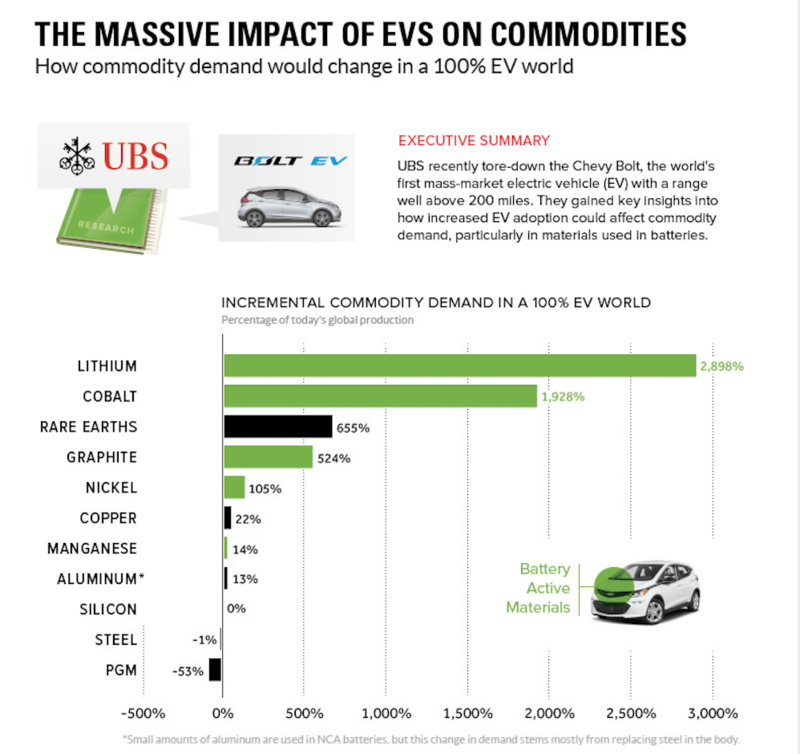 Eventually, I do think interest will re-ignite for the clean energy metals and the mining stocks associated with them as speculators elect to come back in droves due to the hyper-growth trajectory outlined for not only EVs themselves, but for the raw materials supply chain that needs to be ramped up exponentially to feed these gigafactories (many of which are still in construction but will be coming online over the next few years/decade). These gigafactories are being designed to produce staggering amounts of of lithium-ion batteries. In any case, if Mergers and Acquisitions (M&A) season gets kick started at any point, then I guess you could say that my above thoughts could be rendered obsolete relatively quickly; in the world of mining stocks, there really ain’t nothing better in stirring up speculator interest than when everyone feels like deals are picking up and there will be lots of premiums to collect on via the junior companies that inevitably get swallowed up by the bigger fish in the sea (e.g. 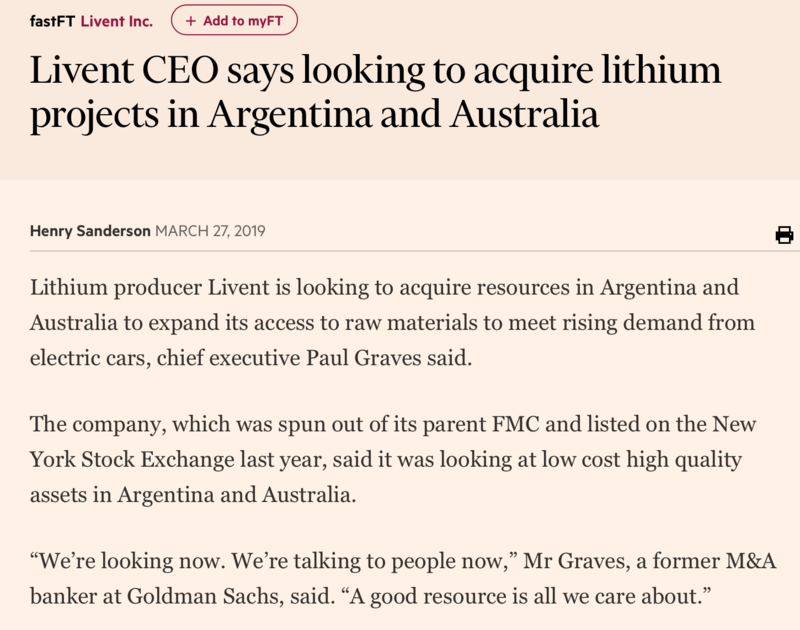 Ganfeng Lithium, Albemarle, SQM, Livent, etc.). I’ll be discussing the clean tech metals and macro developments in more details in the latest Thank You Newsletter, so stay tuned for that. Hopefully, better days lie ahead for clean energy metals investors/speculators.